Can You Help Give Us A Lift? We are raising money for a new family/ministry vehicle! Our Blue Land Rover Defender that we have had for the last 6 years has served us faithfully and needs to be retired to a vehicle used solely around the farm. As many of you know, we regularly travel some pretty extreme terrain which eventually takes a toll on even the best maintained vehicles. To give you some perspective, we live about an hour from the closest town Mazabuka. Thirty minutes of that drive to town is on a very uneven, bumpy dirt road (see videos below). We limit our travel to town to once or twice a week to try to preserve our vehicle as much as we can. Despite our best efforts, we currently find ourselves having to invest significantly every few months on maintenance costs to keep our vehicle on the road. 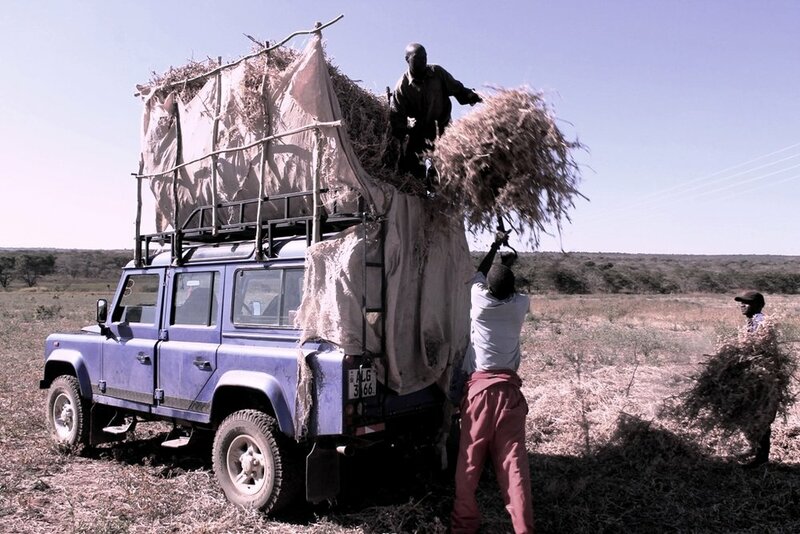 The replacement of a vehicle may seem like a pretty simple task; but given our family’s size and the fact that we live in rural Africa, the reality is that few vehicles are actually up to the job. After much research we have arrived at the conclusion that a Toyota Landcruiser 78 is the best all around fit (see photos below). A vehicle often used as a “troop carrier” for the UN, it has a reputation for is ruggedness and reliability. Seating for 13 passengers also allows for our family to travel places in one vehicle with enough room left over for the many Zambian friends we often come across along the way. *Online Giving - To make a secure online donation click here. Choose the One -Time Donation option and please make sure to include “Whitfield Ministry Vehicle” in the Gift Note box. Mail In Donations -Donations made by check can be addressed and mailed to: Luke & Elise Whitfield // Commission To Every Nation // PO Box 291307 // Kerrville, TX 78029-1307. EFT - For more information on giving a gift via bank transfer please call CTEN toll free at: (800) 872-5404. Networking - One of our favorite African proverbs says, “Many hands makes light work”. Would you consider sharing with others you are connected with in effort to maximize the reach of our request for partners to help meet this need? A simple share on social media would go a long way in seeing that achieved. We just want to take the time to thank you in advance for your consideration of getting involved. Whether it is a first time gift, or the continuation of a regular commitment to support our work; your involvement is an essential part of our being able to keep saying YES to this amazing story He is writing here in Southern Africa. You can keep up with our progress here as well as by clicking on any of our social media links at the bottom of this page. We love and miss you all very much! Our weekly commute to town....part of the reason it is only weekly! The journey up our driveway. I think I can.....I think I can.....I think I can.